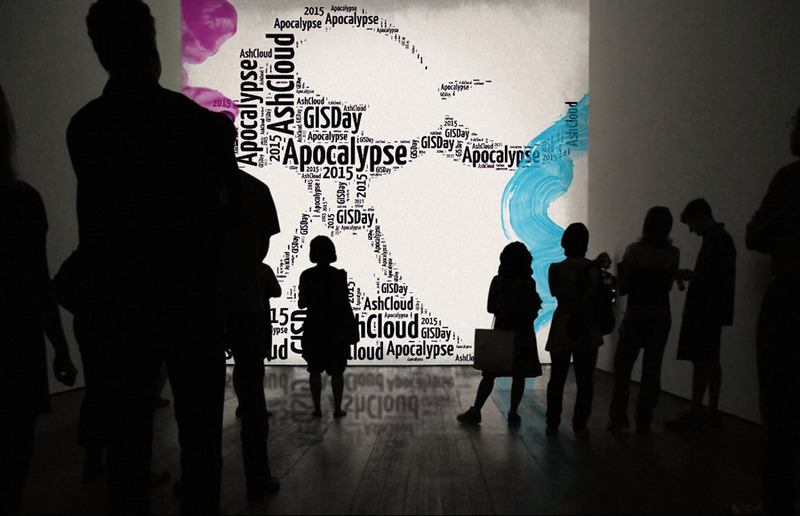 Thousands of students will join an online, interactive mapping exercise called Ashcloud Apocalypse. Giant cracks appear in the streets of London. Lava shoots from the fissures. Cars topple near Big Ben. Fires break out. “First signs of a mega eruption,” announces a promotional video for Ashcloud Apocalypse, an online disaster-risk mapping exercise that thousands of students in the United Kingdom and around the world will participate in this November. The nightmarish scenario that unfolds (explosions in the London subway stations!) means that Raphael Heath, head of geography for The Royal High School, Bath, United Kingdom, plans to shake things up a little for GIS Day, November 18, 2015. Created with Web AppBuilder for ArcGIS, this mapping app shows the locations of volcanic eruptions over the last two millennia. More than 11,800 students around the world participated in Heath’s 2014 GIS Day World Record Event, a quality-of-life survey and mapping exercise. He hopes to repeat that success with Ashcloud Apocalypse, which Esri UKand the Girls Day School Trust will support. Esri ArcGIS technology will be used to collect and map data for the exercise, which is aimed mainly at 13- to 18-year olds (though anyone is welcome to join in). Raphael Heath created the Ashcloud Apocalypse exercise. 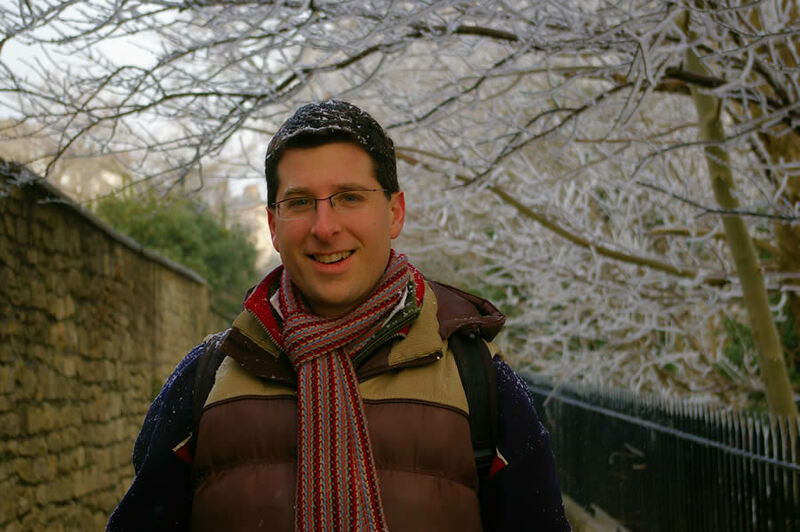 He is an award-winning geography teacher at The Royal High School, Bath. Here’s how the exercise works. Via an app available on Heath’s Ashcloud Apocalypse website, students enter information related to the risks they face from a mega volcano based on how far away they live from one. Using an Esri GeoForm web mapping application Heath provides, students enter the name of their hometown or postal code and then score risks from a geographic standpoint: How close do they live to one of the world’s mega volcanoes? The ash, gas, and lava spewing from one can be deadly. What’s their hometown’s elevation? The higher the elevation, the lower the temperatures will plummet because ash from the eruption could produce a volcanic winter. Other potential risks include traffic chaos, asthma problems, and a lack of emergency supplies. The students will explore these and other risks using maps in ArcGIS. After all the participants submit their forms, the risk scores will be tabulated and appear on the final Apocalypse Risk Map. Heath said he hopes that students will find the exercise enjoyable and educational. “We wanted to get students to appreciate what GIS is and its fundamental value in addressing serious global issues and hazards,” Heath said. The students will be introduced to the concept of risk mapping and learn how multiple variables can be combined to form new spatial information. “In this case, [it’s] a composite risk index map,” he said. 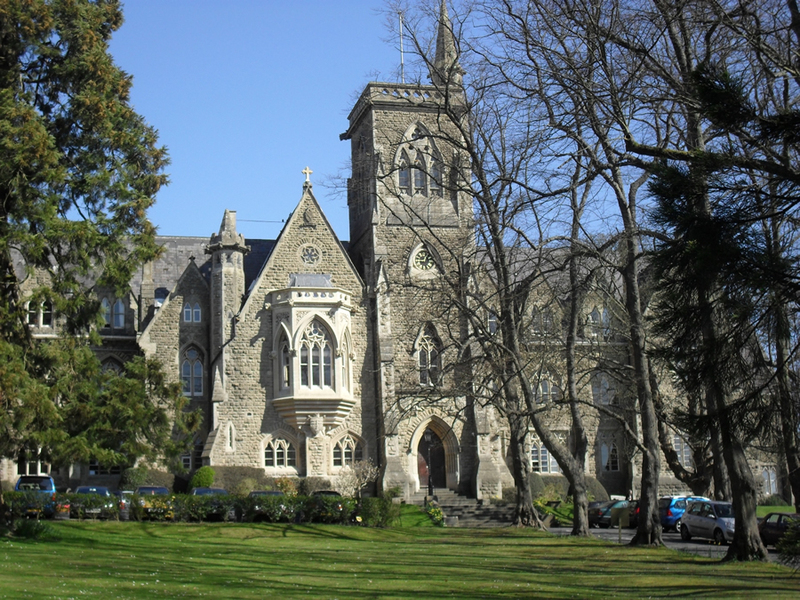 The Royal High School, Bath, an all-girls school, offers interesting geography classes and field trips. Heath received the Royal Geographical Society Ordnance Survey Award for Excellence in Secondary Education this year. Last year, he won the Esri UK Best Community Project Award for the 2014 GIS Day World Record Event. Heath gets the word out about Ashcloud Apocalypse using a mix of promotional videos and posters. Heath asks teachers and others to register their Ashcloud Apocalypse events at his website. He will continue to add information about the exercise as GIS Day and Geography Awareness Week approach. Teachers in the United Kingdom, the United States, Brazil, Thailand, Canada, Australia, and several other countries have already signed up. 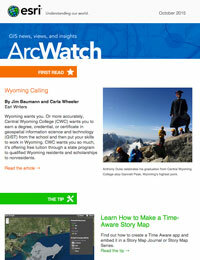 For more information about GIS Day, visit the GIS Day website. 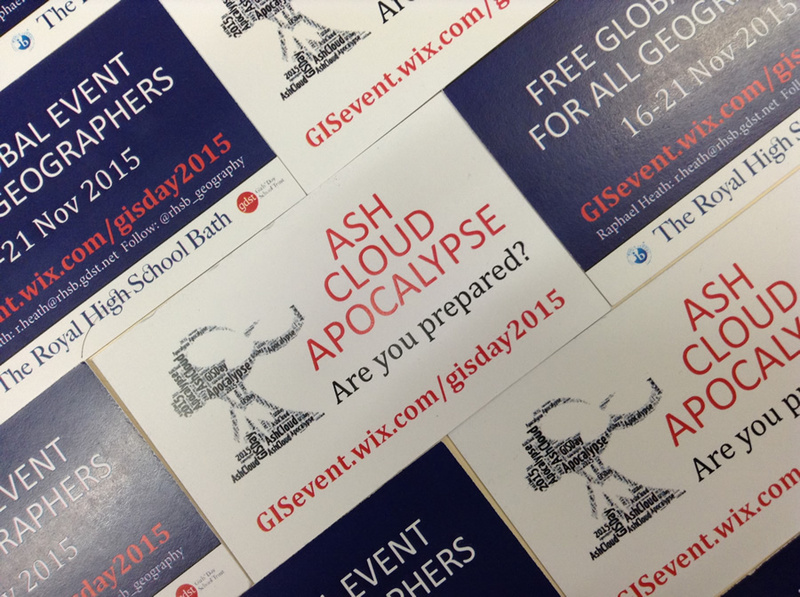 Follow GIS Day on Twitter @GISday or visit the GIS Day Facebook page.